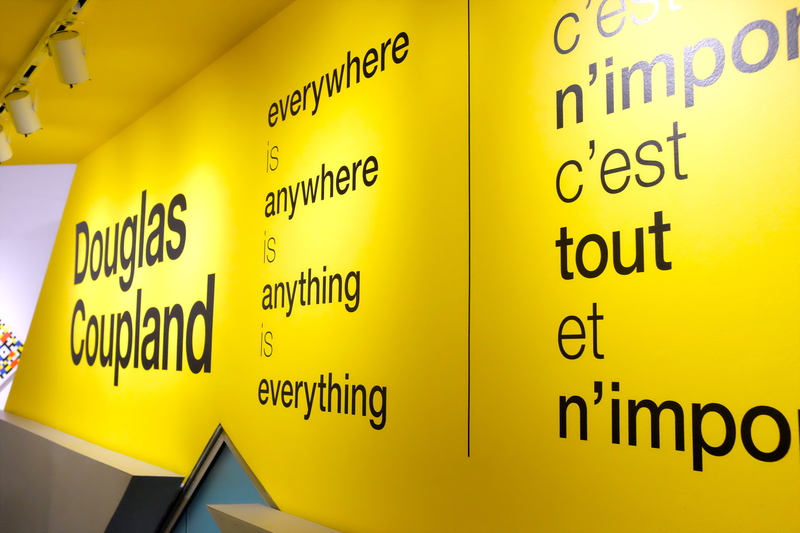 On Saturday, feeling reborn (or at least still alive) after a bout of stomach flu, I ventured to the Royal Ontario Museum with Laur to see part of Douglas Coupland’s everywhere is anywhere is anything is everything exhibit. The other part is being shown at the Museum of Contemporary Canadian Art, or the MOCCA. I had shamefully not been to the museum since moving to Toronto three years ago, but my failure was at least partially remedied with this visit. 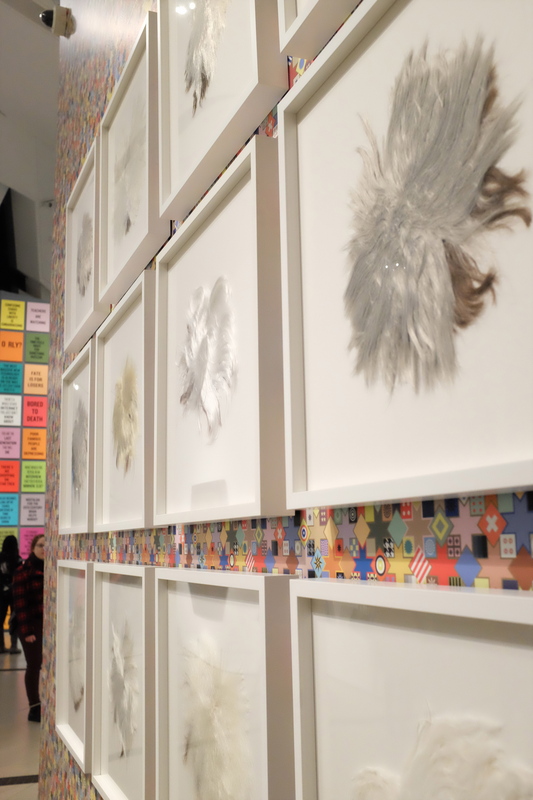 The gallery space at the top of the ROM’s crystalline structure was the perfect size to showcase Coupland’s spiky stacks of plastic and black-lettered thought-texts. Coupland is one multitalented Canadian with a wickedly sharp sense of humour. I first got to know his odd perspective on the world through his writing in books like Microserfs (1996) and JPod (2006), which are highly recommended if you like general irreverence and strangely placed, seemingly random words used as art that pokes fun at our consumerist selves in novels. 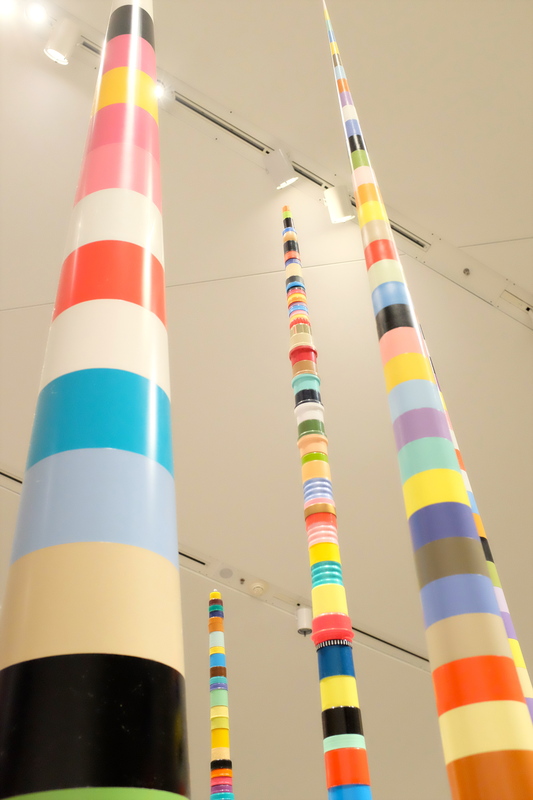 Coupland’s artist side has a similar objective, and this exhibit was a collision of the bright plastics of consumer culture, insights on the internet brain/age, and what seemed like the artist’s humourous asides to himself. 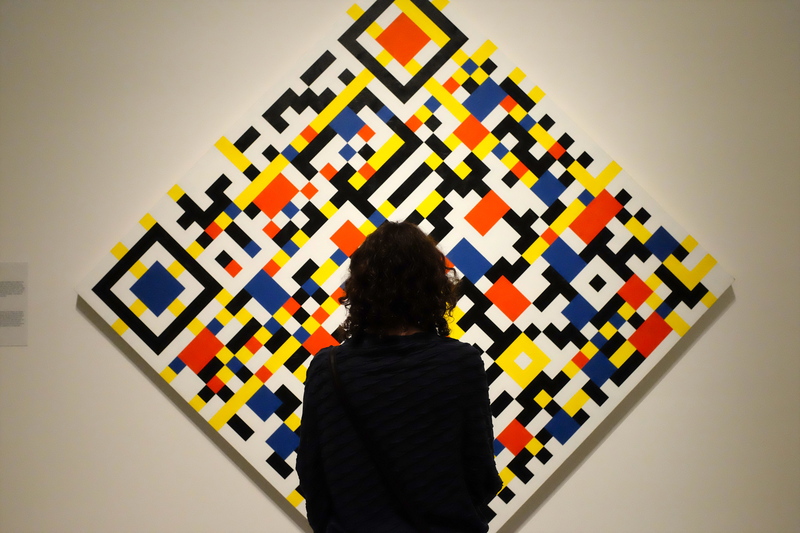 Laur considers the Mondrian-inspired QR Code. 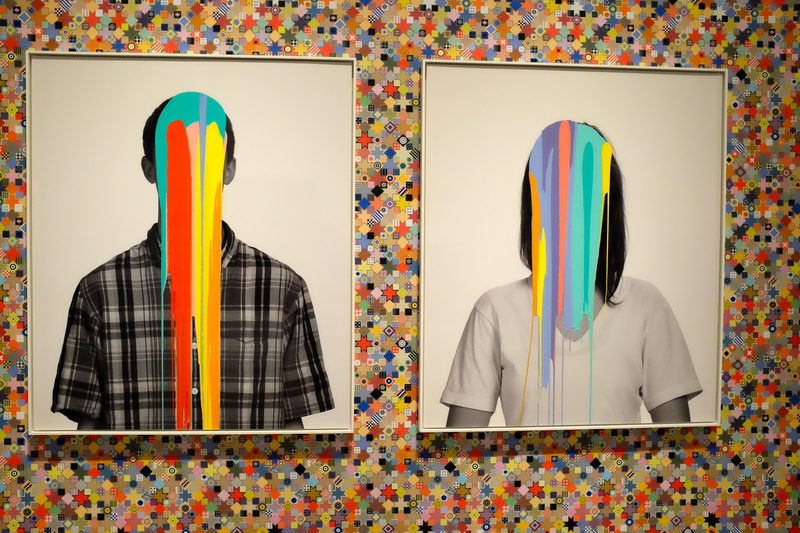 Two paint-soaked teens demonstrate a re-visioning of the classic school photo. A wall of Warhol wigs. 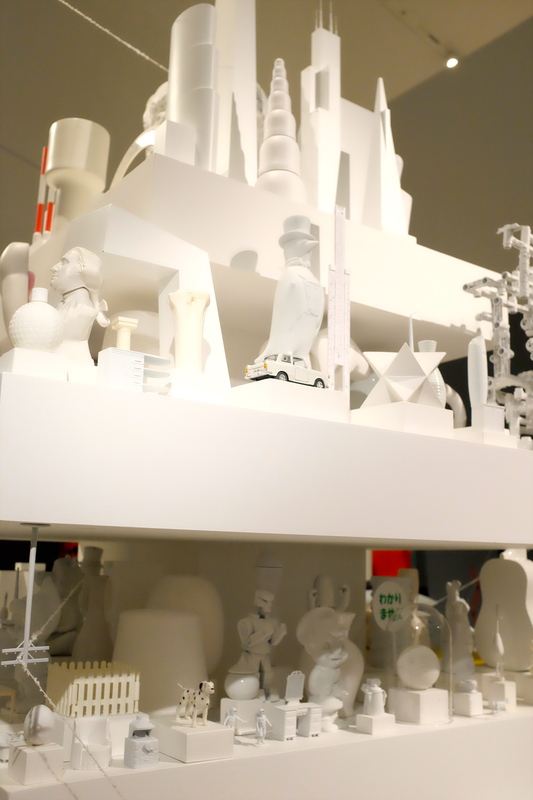 An incredible collection of artifacts in “The Brain,” a piece that represents Coupland’s influences, memories, and thoughts, gathered over decades. 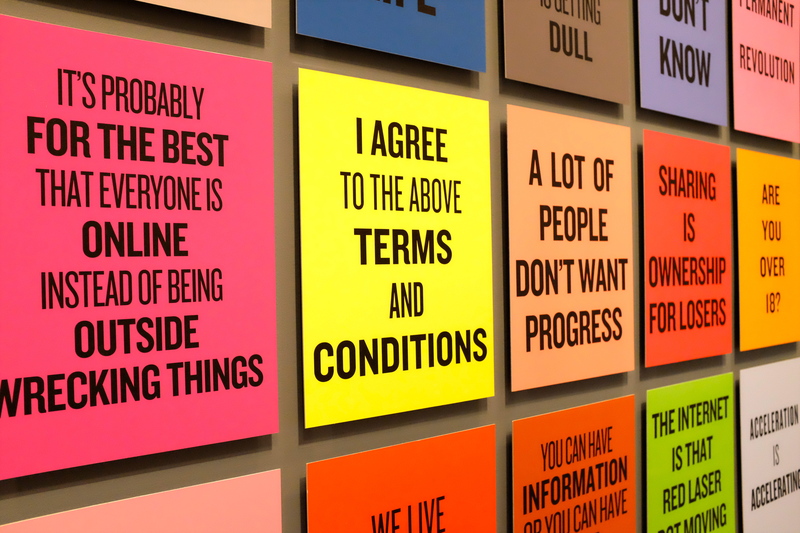 A close-up of the wall of texts, written by Coupland, that emphasize the mundane of internet life and language. 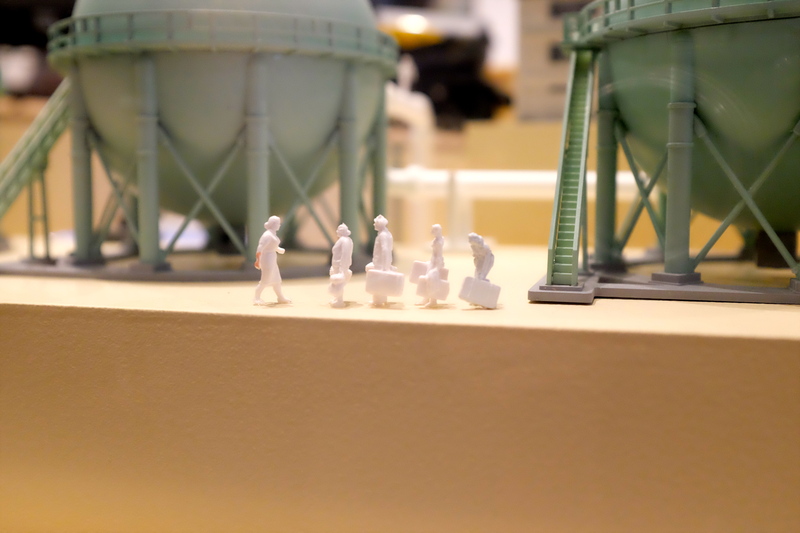 And finally, a line of tiny, patient people holding baggage. They were part of a massive cityscape encased in glass that we could view from above. 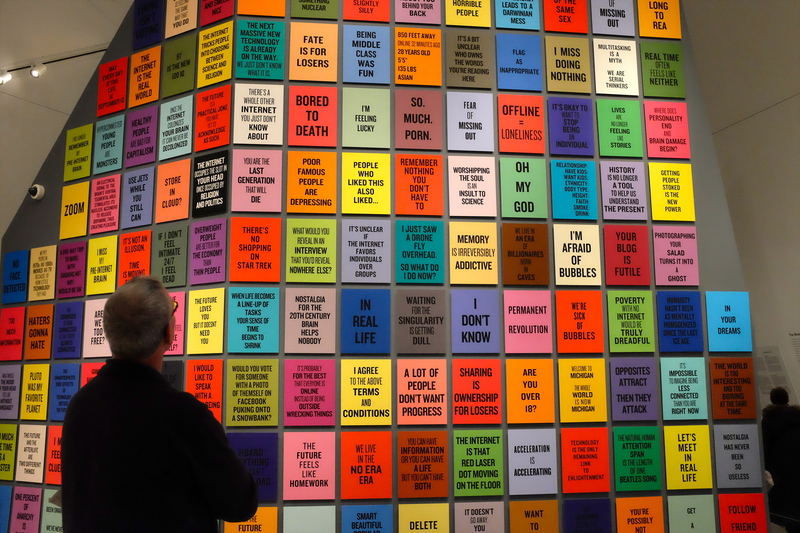 If this kind of culture-gazing-and-reflecting art floats your boat, check out Coupland’s work! The exhibit is at the ROM until April 26, 2015, and at the MOCCA until April 19.